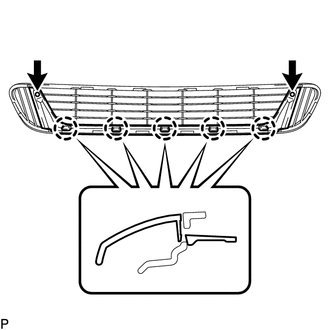 (a) Engage the claw and install the front bumper side retainer LH. (b) Install the bolt and screw. 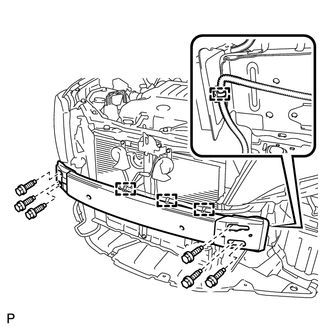 (a) Install the front bumper reinforcement sub-assembly with the 6 bolts. (b) Engage the 4 clamps. 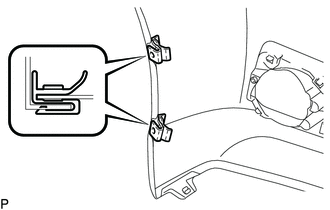 (a) Engage the 2 guides to install the front bumper energy absorber. 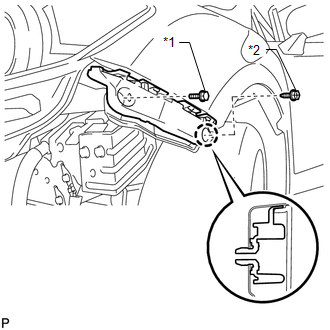 (a) Install the 2 front fender liner retainers. (a) Engage the 5 claws. 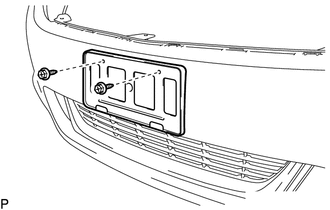 (b) Install the front bumper moulding with the 2 screws. 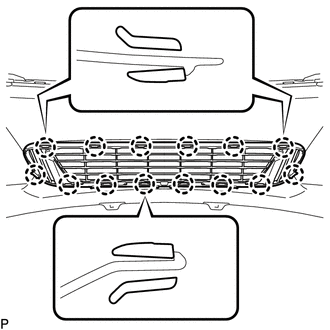 (a) Engage the 14 claws to install the No. 1 lower radiator grille. 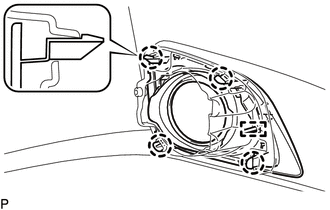 (a) Engage the 4 claws and pin, and install the front bumper hole cover assembly LH. 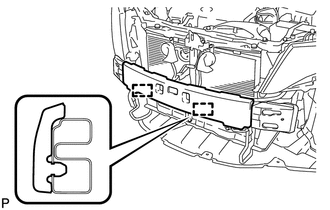 (a) Install the front license plate bracket with the 2 screws.